One of the leading factors in gum disease are the body’s sugar levels. Those with diabetes are unable to regulate their sugar control on their own, and medications are required. This is important because the multitude of bacteria that live in your mouth feed on sugars, including glucose—the sugar associated with diabetes. Higher sugar levels in the mouth will enable germs to multiply in quantities that can lead to gum disease. There are other complicating factors as well. People with diabetes tend to have thickening of the blood vessels. Since these are the avenues to carry oxygen and nourishment throughout the body, thicker blood vessels can impede an adequate flow and cause toxins and waste products to build up. When this happens, gum and bone tissue can become susceptible to infection. Smoking can exacerbate the problem. When brushing and flossing habits are slack, bacteria can build up in the mouth to create a sticky film-like substance on the surface of the teeth known as plaque. Gums become red and swollen and can bleed during brushing or flossing. This is called gingivitis, and is the first stage to gum disease, more formally called periodontal disease. When left untreated, this condition can worsen and lead to the more serious problem of periodontitis. This is an infection of the gum and surrounding tissues that hold your teeth in place. The plaque on the teeth hardens and builds up under the gumline, forcing the gums away from the tooth surface. This creates gaps in between the gums and the teeth where bacteria can build up and create pockets of infection. Eventually, this infection will eat away at the supporting bone and create the loss of the tooth. Often there are no outward signs of periodontitis until it is quite advanced. How Can I Help Prevent Gum Disease from Diabetes? Gingivitis can easily be averted with proper brushing and flossing. Brush twice daily with a soft-bristled brush and a fluoride toothpaste – once in the morning and evening – and floss once daily. Brush gently and do not use a scrubbing motion that can damage delicate gums. Rinse with an antibacterial mouth rinse, and see your dentist twice a year for teeth cleaning and inspection. If your dentist notices the beginnings of periodontitis, a deeper cleaning is required. For advanced cases, a specialist in periodontal disease is required to save your teeth. If you do have diabetes, it is important to let your dentist know. That way he or she can keep tabs on your medical condition and prescribe proper treatment plans. You should also monitor and medicate your own diabetic sugar levels per your doctor’s recommendations. Controlling your sugar level will be most important. 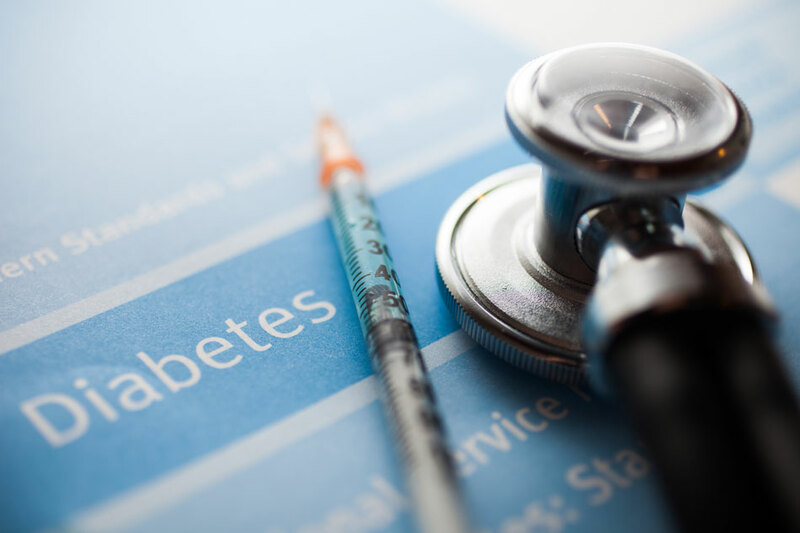 Keep in mind that when you have diabetes, the healing process can take longer following a dental procedure or surgery. When you need restorative dentistry for problems caused by diabetes, gingivitis or periodontitis, you can trust Advanced Family Dentistry, a leader in the field of dental excellence. We are conveniently located in Reston, Virginia within reach of families throughout Northern Virginia. Trust us to create the right dental healthcare program for each member of your family. We are currently taking new patients. Contact us today to set your appointment.